New Zealand is brimming with authentic once in a lifetime experiences. It’s just that sort of place, combining the best pleasure, thrill and relaxation attractions into two exploration-friendly islands without much effort. But what tops the list? What should you absolutely do? 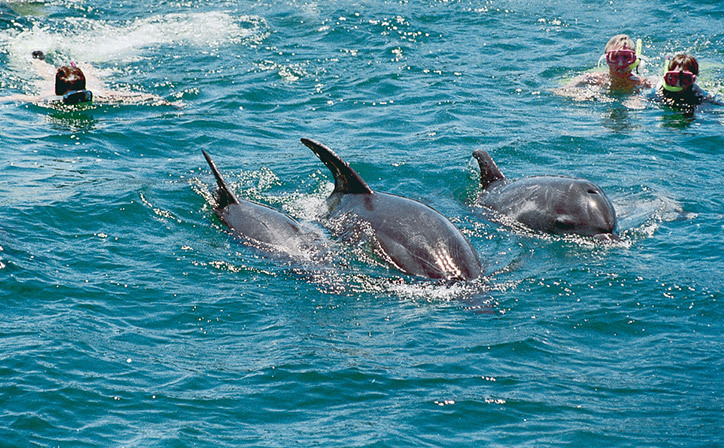 Few activities can really compare to the playful company of our native dolphins. Cheeky, cheerful and not particularly shy, to swim with dolphins is to immerse yourself in freedom… just check out TripAdvisor for some real world thoughts and reflections! Where should you go? Easy, let us help you find the best experience for your budget. Map your journey to the northern reaches of New Zealand’s North Island and breathe in the serenity of Paihia, the official gateway to the beautiful Bay of Islands. A veritable playground for all sorts of marine life, including seals, penguins and you guessed it dolphins, you’ll be swept away by the gentle lapping of the waves in no time. Included: Hot showers and informative commentary (bring your own swimwear). Keep in Mind: Swimming with dolphins is not guaranteed. Sea conditions, Department of Conservation Regulations and skipper’s discretion will determine whether it’s safe to go ahead. All swimmers must be confident in open water and above the age of 8 years. 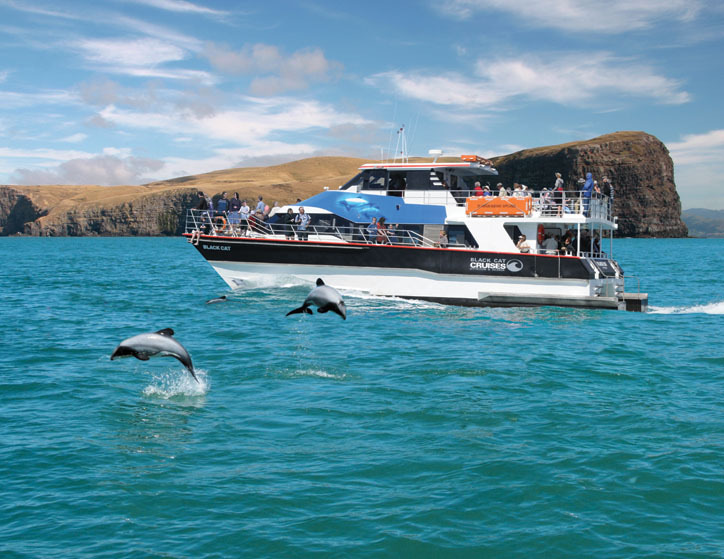 Spend a spell with the world’s smallest dolphins, as the cobalt waters of Akaroa buoy your adrenaline and a wide smile spans from ear to ear. Hector dolphins are curious creatures indeed, keen to make friends with passing humans and exchange hellos in the dolphin way. Duration: 3.5 hours (including dolphin briefing and 45 minutes in the water). Included: Wetsuit and snorkeling kit, hot chocolate and biscuits. What makes this experience different: Smaller, friendlier and 100% committed to conservation, you’ll learn, have fun and return with a whole new perspective on aquatic life. Welcome to the ocean capital of New Zealand! Dusky dolphins hang out in the cool waters all-year-round, treating onlookers and adventure seekers to impromptu shows of aqua acrobatics. What if the dolphins aren’t into it: Swimmers will be refunded back to the spectator rate. Insider Tip: Make sure your chosen tour includes swimming with dolphins, opposed to simply viewing them from the dry comfort of a catamaran. Ready to take a dive on the wild side? 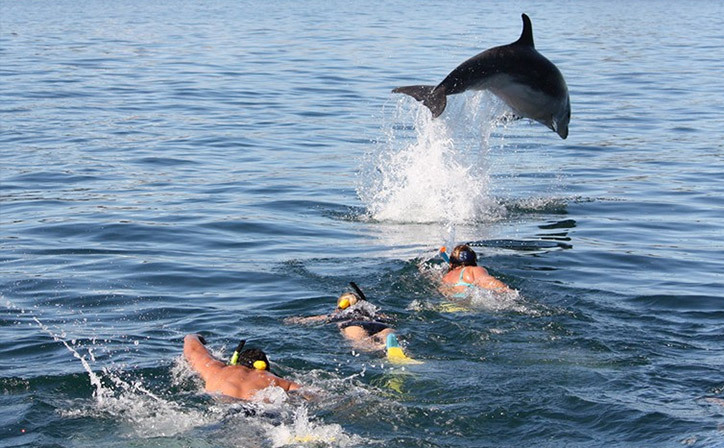 Tick a dolphin experience off your bucket list and contact Relaxing Journeys for more details. Let’s plan your trip together!